When looking over my notes for this game, I came to the decision to review this title as a package, not a new standalone game. 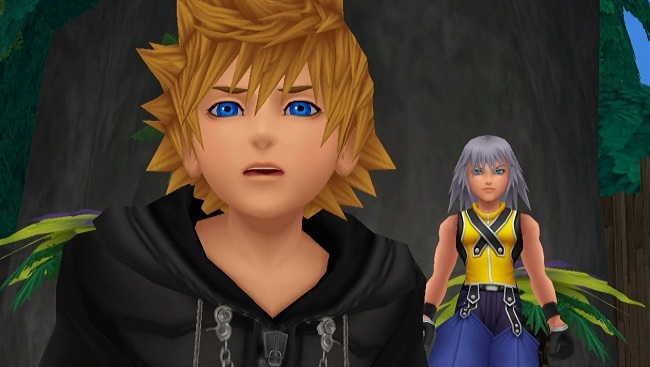 The original Kingdom Hearts was released over 10 years ago, a little late to review a game based on its merits as a new title, despite my first play through of the title, though I am no stranger to the franchise. I do want to, however, go over the changes made in this HD collection and will judge the title based on what it is, an HD collection. Over 40+ hours with the title, I had ups, downs, and a new bar at which to set HD collections at. 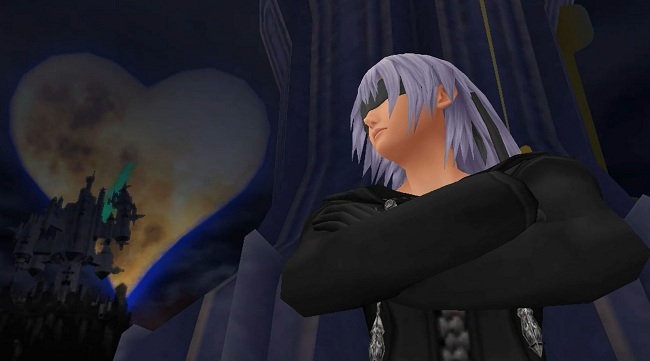 Kingdom Hearts 1.5 HD Remix is comprised of three titles, Kingdom Hearts: Final Remix (was a Japan exclusive), Kingdom Hearts Re: Chain of Memories, and 358/2 Days (pronounced 358 over 2 Days). The first two titles are in their entirety, but 358/2 Days is just re-mastered cut scenes with no gameplay to speak of, which was cut due to having to take the time to rebuild the game( it was a DS exclusive), but there is still plenty of value here for your money. 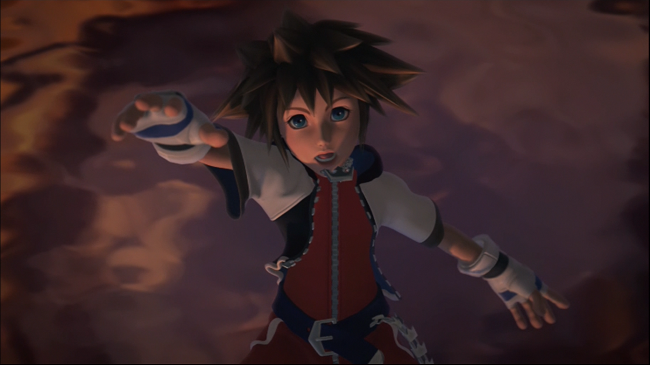 I completed Kingdom Hearts Final Mix, without obtaining every item and did not finish every side quest in about 33 hours. 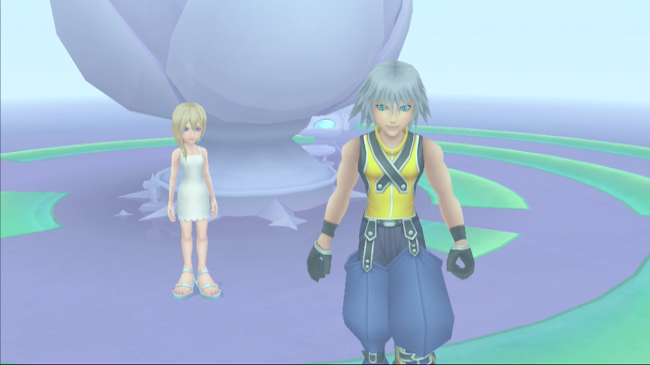 The rest of the time was put into Chain of Memories and watching about an hour’s worth of the videos from 358/2 Days. Let’s break the title down. 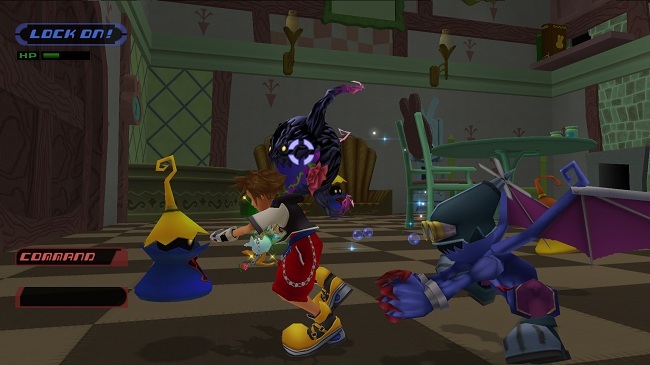 Kingdom Hearts was originally released back in 2002 for the PlayStation 2. It was a critical and commercial success, though it did have some problems. The version that is included in this collection is the Japanese exclusive “Final Mix”. 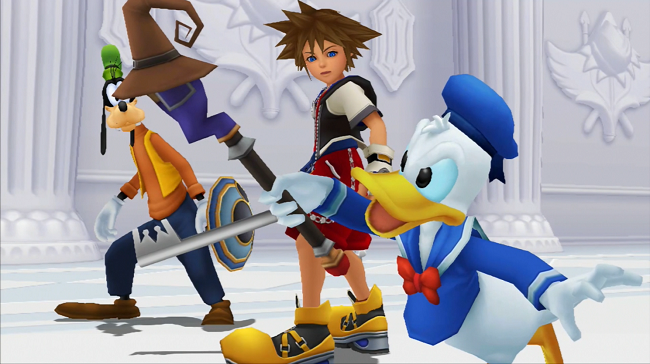 The title follows Sora, Donald, and Goofy on their adventures though original and Disney inspired worlds to stop Ansem and defeat the Heartless. 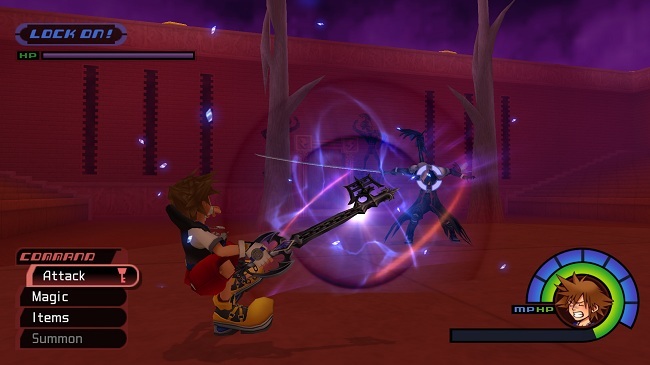 According to the games director, Tetsuya Nomura, most of the original game assets were lost over time, so most of this title has been rebuilt. The biggest changes have been to the camera and to the visuals. 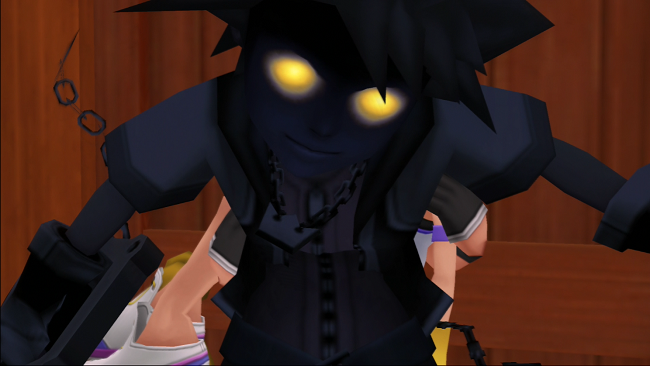 Despite some weird mouth textures here and there, this has set the bar for visuals in an HD collection. The games art directions pops off the screen in great 1080p resolution and could easily surpass some titles that were made more recently. Best of all, unlike some other HD collections the full motion videos have also received the HD treatment, making them a visual treat. The camera system has been reworked from the shoulder buttons in the original game to the right thumb stick to mimic the camera from Kingdom Hearts 2. 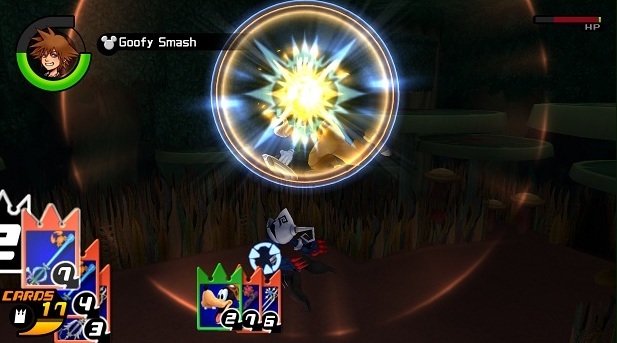 While this is a great update, the camera can still be erratic and made some jarring movements during combat and other segments. Platforming with the new camera made it more tolerable, but the weird floating physics still kept it a chore. All of the music has been redone with live compositions, instead of the synthetic based tones found in the original. I wish I had a set of headphones for my PlayStation 3, this game would have benefited from a better output than my T.V.’s speakers; the music is fantastic. The original voice work is still there, with performances by Haley Joel Osment, Billy Zane, David Boreanaz, and James Woods. The voice overs are hit or miss in their acting ability, but serve their purpose well. 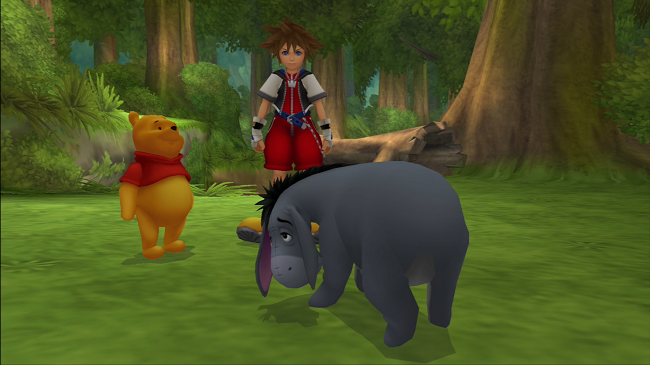 This is the meat and potatoes of the collection and as an HD re-master it is hard to fault. The game is beautiful, sounds great, and plays great. 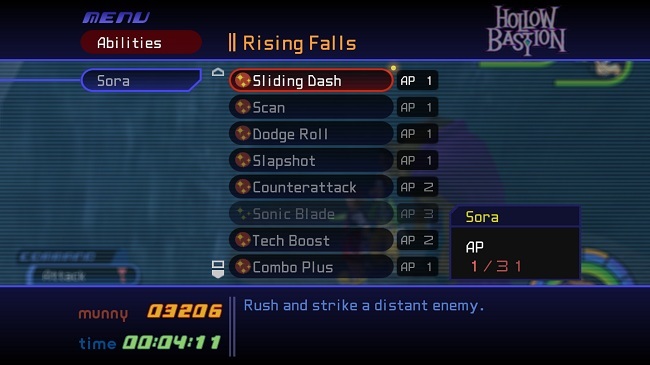 There are some design issues I have with the game, such as the lock-on being iffy at times, and the hunt for what to do next in some levels; but this is things that are a decade old, and are moot at this point. 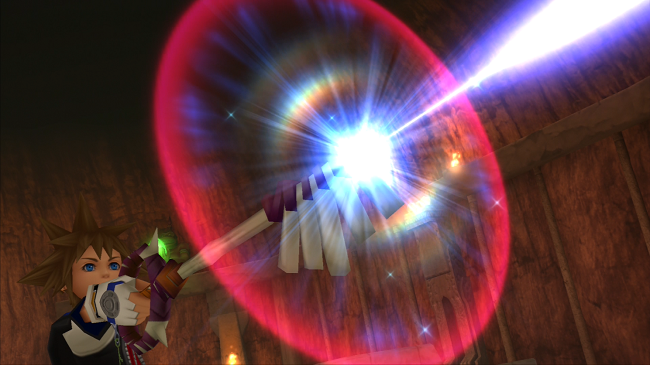 Seeing and hearing how great this title is now in the HD era, was a real treat, gripes aside. 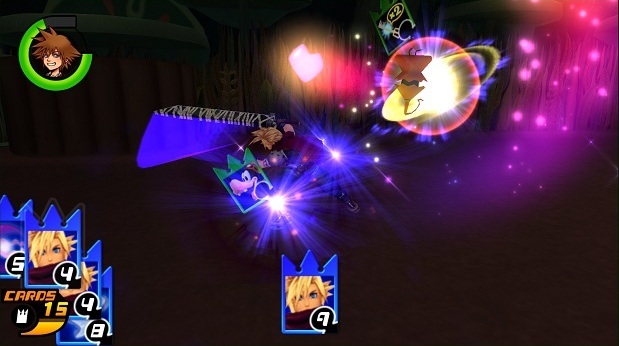 Re: Chain of Memories is a PS2 remake of the Game Boy Advanced title. 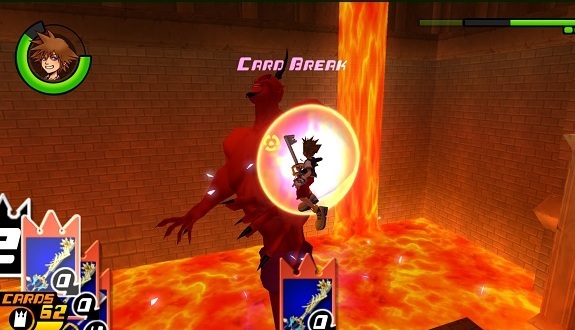 The game plays differently than other titles in the series, with battles using cards, instead of the typical action command system. 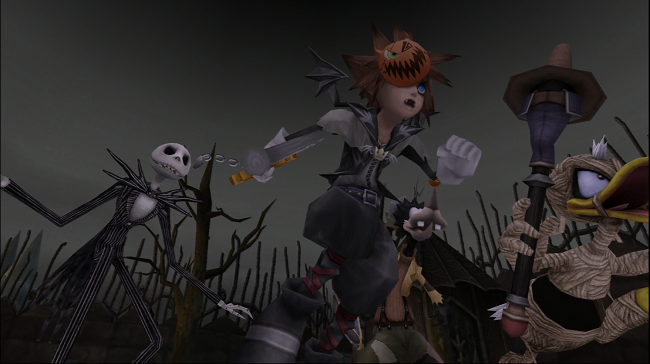 Chain of Memories takes place immediately after the first Kingdom Hearts and has Sora and company exploring the Castle of Oblivion. 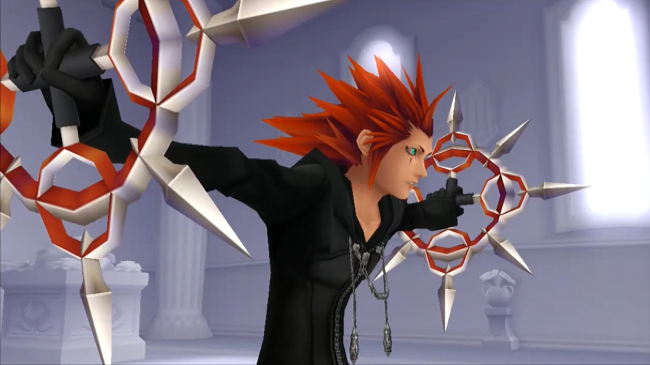 The Castle bases its rooms off of Sora’s memories so expect a lot of recycled environments from the previous title. 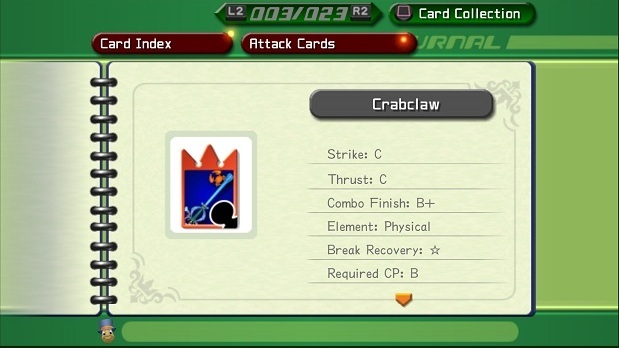 The card battle system takes some time getting used to, and I still feel I don’t have a well enough grip on its intricacies. 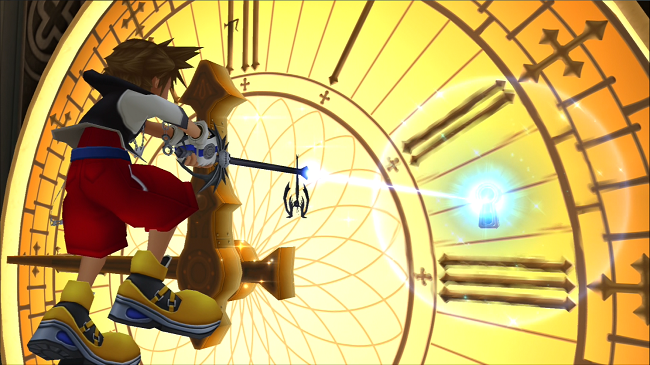 The game is much shorter than Kingdom Hearts but is expected to be played through twice, so after two plays, you should clock in around the originals run time. 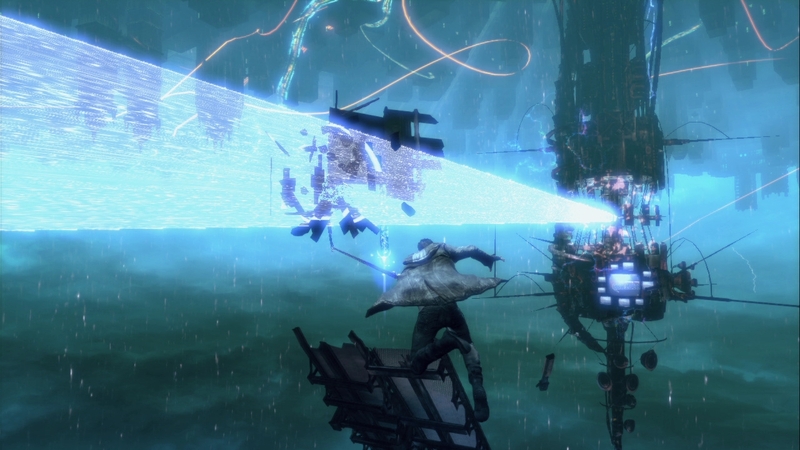 The game is much narrower in its scope and feel, and linear by nature. 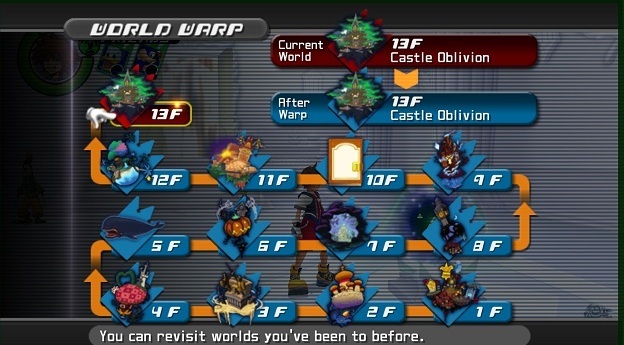 It is a fun distraction if you are looking for more to do with the 1.5 Remix after you have finished Kingdom Hearts, I would not by the collection just for this title. 358/2 Days has zero gameplay. It is a collection of videos, playing out the story for the DS exclusive title. The collection of videos spans almost 3 hours and while some are better than others, it can feel a bit drawn out and dull at times. 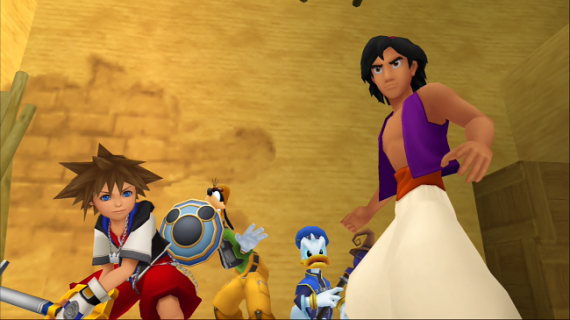 It seems like a weird omission to not include new gameplay; this does complete the story line up until Kingdom Hearts 2. As far as the chronological order is concerned, these three titles line up one after another. 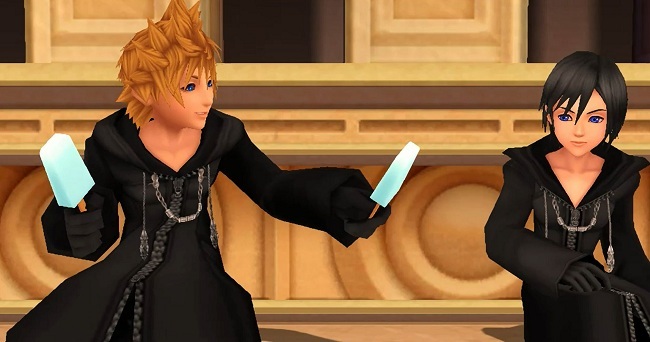 In the grand scheme of things, if there is to be a Kingdom Hearts 2 HD compilation, any new comers to the series would be caught up to speed with the overall story arch, outside of the PSP prequel, Birth by Sleep. While I am sure the gameplay was cut for the sake of time and money, it is kind of a disappointment that it wasn’t included. 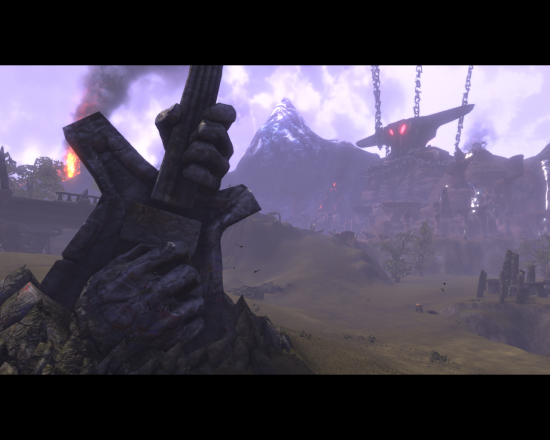 The videos were made from the in-game engine and do include the beautiful updated visuals as well as voice over work. There are trophies to unlock with the videos, which was a weird choice, though some maybe grueling for trophy hunters, be prepared to watch a lot of videos. 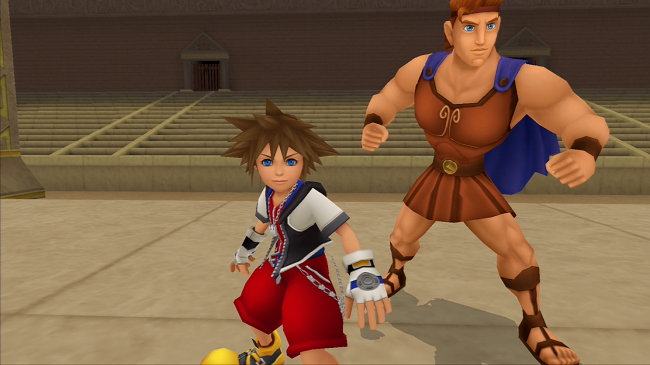 If you are a fan of Square Enix or the Kingdom Heart series, then you already have the collection. For those looking to get into the series, or something a little lighthearted and different, this is the collection to buy. For $40, you could have received less content, but Square Enix was very generous in this collection. 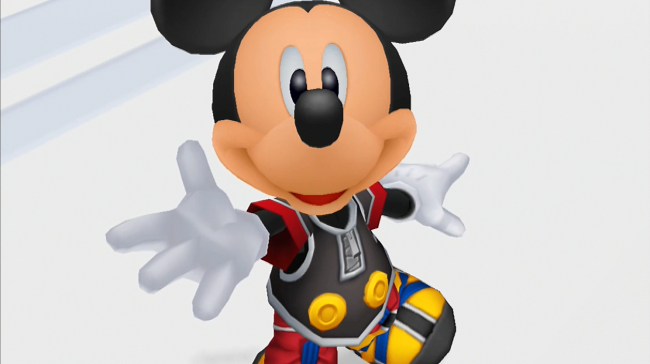 Kingdom Hearts, like I stated above, is the main course of this collection and should be purchased as such. 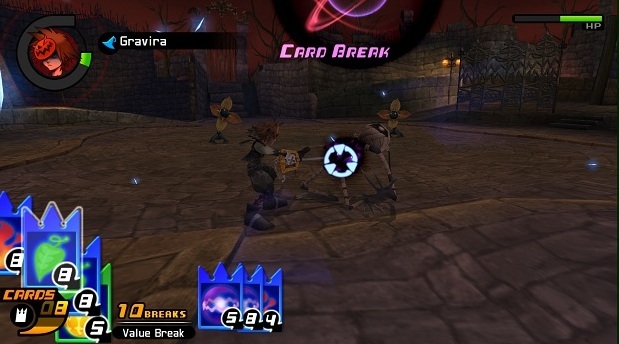 Chain of Memories and 358/2 Days should be treated like DVD extra features, they are good additions, but if you skip them, you are not missing out on much. As a HD collection, it is fantastic. I thought I had seen the pinnacle of these collections with the likes of the ICO, Metal Gear Solid, and Sly Cooper collections, but Square Enix has surpassed these. 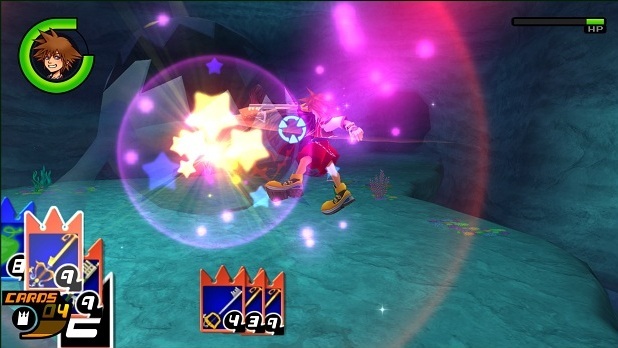 While the others have included more stable frame rates and higher resolutions, most of Kingdom Hearts Final Mix was rebuilt with this collection in mind. It may be lacking in the amount of games offered versus other collections; the outstanding reworked visuals and audio place this at the top of my HD collection list. The packaging is one other positive going for this collection. I post an article about the art book packaging on Tuesday, and if you are thinking of picking up the title go for the art book case if you can. I love the idea of packaging being an art book, hinting at the ever possibility of games as art. In closing, come for the beautiful Kingdom Hearts Final Mix; though be aware some gameplay elements have not aged particularly well. Chain of Memories and the 358/2 Days theater are after dinner mints that can be taken as you please, or you can ignore altogether. As an HD collection, it sets a new bar for audio and visual re-mastering. 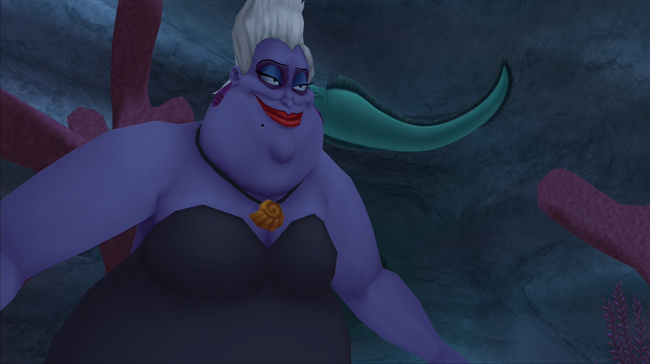 I hope Square Enix put this much love into the upcoming Final Fantasy X/X-2 HD Collection. “Violent video games and movies cause violent behavior!” I’ve heard this saying thrown around a lot lately and I’ve said nothing because I find that statement uneducated but as this has been tossed around a lot in mainstream media lately I thought I would add my two cents and yes I love to challenge peoples beliefs. To give you a little background on myself for those of you who don’t know my hobbies. I’ve played video games *of all types from Chess, Mario to Duke Nukem* since I was eight or nine years old. Once I hit 8th grade I started playing numerous multiplayer games including Project Visitor, Counter-Strike, Jedi Knight: Dark Forces II, Half-Life, Team Fortress, etc. Most of which would be considered violent games. I played them so much *10 – 12 hours a day* on a regular basis that I started playing some of the competitively and semi-professionally. I’ve also been deeply involved in the gaming community and modding communities since before I can remember. I’ve played and beat almost every major game from Myst to Battlefield 3. 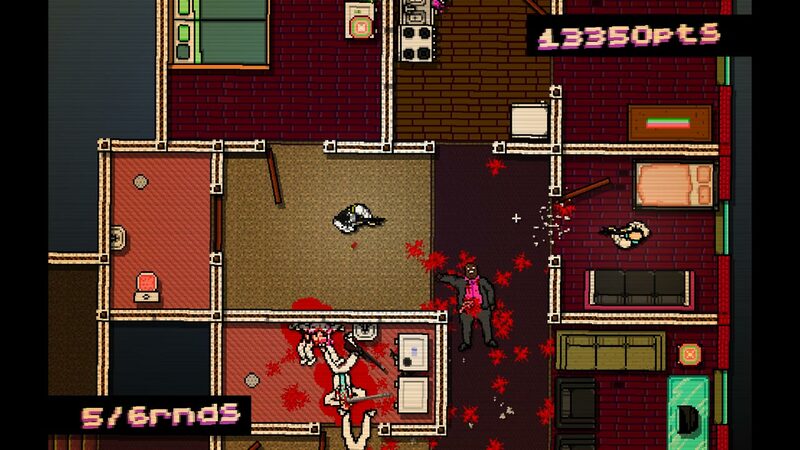 So in short my background in the gaming industry has been… lengthy. So given this childhood steeped in epic violence how would you expect me to turn out? Mainstream media would have you believe that I would grow up to be a pimp and smack hoes on the street while mowing down innocent pedestrians with my automatic weapons. What am I really though? I’m a System Architect for a major medical hardware and software manufacture and in my spare time *when I have it* I still play games and work on my cars. I’m also married and live in the middle of suburbia. So how did I turn out this way? The “video games and movies are the problem” response is as about as silly as the “NRA kills children” statement. It has no basis in reality. Just like gun owners the majority competitive video game players are not suicidal maniacs bent on destroying the world. There was a study done awhile back that said “[C]ompetitive video game play was correlated moderately positively with aggression. In contrast, the correlations between noncompetitive video game play and aggression were small and mostly negative. Competitive gambling also was correlated moderately positively with aggression, whereas the correlations between non-competitive gambling and aggression were small and positive.” So let’s take a look at what this says… if you are playing a competitive game you’re more likely to be aggressive. This has nothing to do with the violent content but it has everything to do with the competition. When you are competitive you’re going to be more aggressive. “But Brad I know someone who plays video games 16 hours a day, he’s got no social life and he gets aggressive and violent when you try to take him away from it! You have no idea what you’re talking about!” Hmmm but is that the violent video games he’s playing or the non-ones for that matter? Or is it the addiction to those games that causes the aggression. I’d challenge everyone to look at many forms of addiction that do cause this same behavior such as sports, alcohol, soda, coffee, food, etc. “So by that logic we should just let little children play Grand Theft Auto and let them watch violent movies!” No… quite the contrary. I don’t believe children need these types of things in their lives as they should be spending time learning and playing outside. 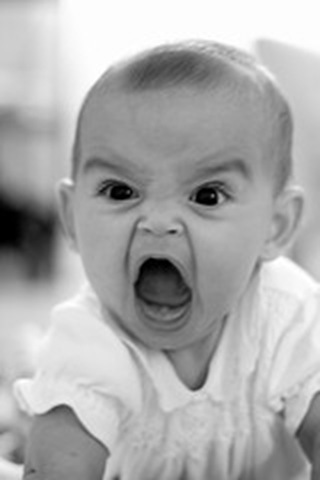 While I don’t believe violent images are the direct cause of violence in adults I do believe they have a small impression on little children, especially those that don’t receive proper parenting on what is real and what is not. Or have parents who properly manage their time. That is the real problem though isn’t it? Just like the violence in our society. We like to blame the gun, the game, the movies, the drugs, everything but ourselves. I can’t tell you how many times I’ve got to get in line to purchase a game when I’ve seen a mother come up with her five year old child with a copy of Grand Theft Auto or Call of Duty and have the store clerk ask her “Ma’am you know this game is rated Mature right” and she says something like “yeah I really don’t care”. If parents don’t care what their children watch then they probably don’t care what they are doing either. See as society we like the blame the symptom and not target the problem. We want an easy fix, we want to think that if we donate so much money here, or go to church this many times, or legislate this or legislate that the problems will go away but that’s just targeting the symptoms not the problem. Having said all that are there some people who are influenced by violent media? Of course there are but they are a small minority compared to the vast majority of us who aren’t. The choice to watch that media or play those games is theirs to make not yours or mine *unless they are your children*. I must first and for most thank my mother. She helped fuel my passion for gaming and took an interest in my life from when I was young and still goes strong today. She came across an article on MSN that talked about where gamers have disappeared to and that this current college bound generation has greater interest in engaging in the outside world rather than being in another world. The argument has its good points and its list of misfires. The term “gamer” is a misconstrued title in a day’s where everyone has a smart phone or tablet that is a capable gaming machine. When people think of “gamers” the first thing that comes to mind is a 30 something- year-old, living in their parents basement, and drinks gallons of Mountain Dew. Yes, there are those that fit this persona, but not the vast majority. Take myself as an example, I am currently job searching after being with a company for more than 6 years, while I search I am working full time on bringing news, and other fun gaming related quid throughout the week. My girlfriend and I have lived with each other for just over three years, I have completely abandoned soda, I am not overweight, and despite having a huge game collection, enjoy culture, music, movies, comics, and other things outside gaming. Yet, I am one of those people that if I am on the bus or subway, you will see me with a portable gaming device not caring what you think of me. My friends and gamer circles all have full time jobs, most of them in relationships, and enjoy other things outside of gaming as well. Yet we are all passionate enough to make a site about gaming work within the constructs of our daily lives. The article went into detail about the coming console generation and the underperforming Wii U, as well as the downfall of Zynga, Facebook, and Apple products as gaming outlets. There is one thing in the article I must correct; Nintendo is not having an E3 press event because of the success of the Nintendo Directs. They feel they can reach more people through the live webcast that can be replayed via their website and on the Wii U and 3DS. Nintendo has already taken responsibility for the Wii U sales with lack of software and bad marketing; the 3DS on the other hand is having an already stellar year and is looking to finish strong for the remainder. There are several ways to get kids, adults, and current gamers excited about gaming and the prospects of storytelling, problem solving, teamwork, and social aspects that come along with gaming. The article gave a grave reminder that, with this generation of college bound students that doesn’t care much for gaming, they will be making the games of tomorrow; and that scares me. Gaming, just like any type of media, social gathering, or sports can have huge benefits. They can lead to making someone feel socially excepted, help with problem solving, can lead to quicker reflexes; they can even help with vocabulary and reading comprehension. But just like everything in life, it must come with moderation. Technology is a wonderful thing and despite the author claiming this younger generation being fueled by the outside world instead of the digital one, they have always had it. I see 9 year-olds on an iPhone and they are connected to Facebook. How many of these people that are interacting with the outside world have their trendy phone on them ready to use that god awful vintage filter to take pictures and upload them to Tumblr, Facebook, Twitter, or Instagram? They have traded one game for another. Facebook likes, re-tweets, and the like have become the new points system. See how many of these college bound teenagers could live without their smart phone and social media for a week. Social media fuels our business, but if I didn’t have to be connected to it, I could do without it. Despite Facebook’s slumping stock, Facebook has a game built into it without anyone putting the word “ville” beside it. This is where some of the gamers of tomorrow have gone, and just like gaming needs moderation, less “vintage” looking photos shot on a bad phone camera the better. Does the integration of Twitter, Facebook, and other social media into gaming consoles solve the problem of the disappearing gamer? Not really and how do we get these social media moguls into gaming? By changing the game and driving excitement. The current console generation has reached its peak, about a year ago. Despite gamers being content with the PS3 and 360, they need to go. They have terribly old tech, poor infrastructures, and there is no room to grow for game development; they are stuck. One thing that Nintendo did right, despite lack of horsepower in Wii and now Wii U, was they have brought new ways to play the game. Just like the media darling’s Google Glass and Oculus Rift, they are new ways to immerse ourselves in this media. 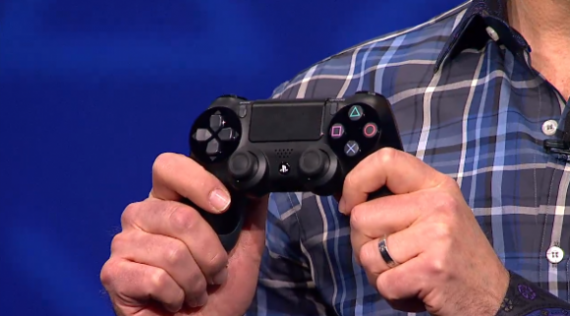 Sony, with the Dualshock 4 is trying. 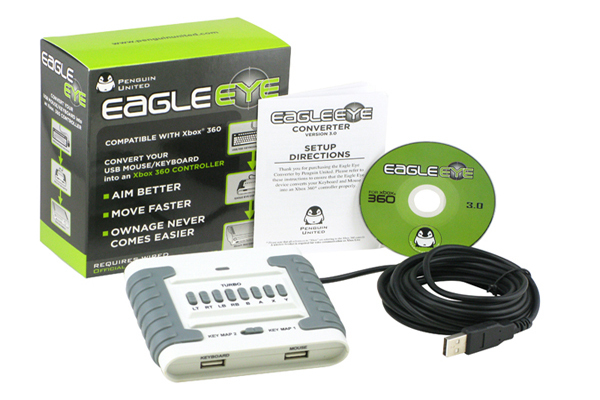 They know the Move didn’t sell like it should have and it was time to move on from the motion gaming and try what is working with tech outside gaming with a touch pad. Now the DS4 still has all the normal controller bells and whistles, but the integration of a small touch pad to do simple things such as simple actions or using it to select things like a smart phone could be a key in the fight of keeping people interested. Nintendo did the same thing with the Wii U gamepad, and added much more function to the device. Most of this generation, gamers have known one controller and did not grow up in the times when each new console devised a new controller with new ways to interact. I am fortunate to grow up first holding an Atari 2600 joystick that had one button. Then with each successor, the controller evolved to add more buttons, analog sticks for better range of control and motion, to having force feedback, and to having pressure sensitive triggers for more ample control. This console cycle was an odd one. We started with the Wii Remote, Sixaxis, and 360 gamepad; and then mid way through got bored and added more in the way of Kinect, PS Move, Wii Motionplus, and the Balance Board, and lost what made gaming special. With all these accessories and new ways we had to have to play the excitement turned into groaning at the retail counter and then the console collecting dust. 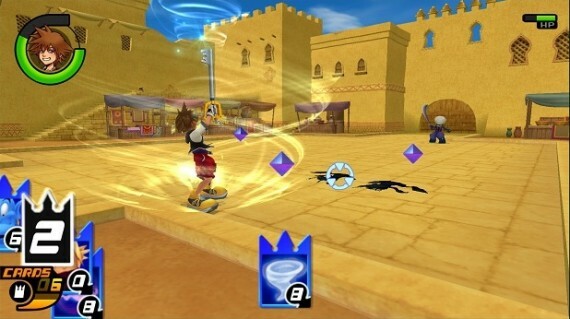 I was working gaming retail when Wii Sports Resort came out and people were upset over having to buy an additional Wii Motion Plus dongle for something they already spent money on. I know there has always been an accessory throughout the home console cycles, things such as the Super Scope, Sega Activator, the NES Power Pad, and Game Boy/ advanced players, but not something that renders a controller moot to play something that has the Wii Sports brand on it. I’ve never seen the general public clamber at a console the way they did at the Wii. Doing something as simple as having a two button remote so people could play Mario the way they did back in the 80’s was genius. Sadly because of this Super Mario Bros. Wii out sold both the better Mario Galaxy titles, but there was that excitement for parents to show their kids what opening a NES and playing Super Mario for the first time felt like, and that’s just it. There needs to be excitement once again. Yea anyone’s phone can run Angry Birds or Temple Run, but can your iPad or phone be capable of bringing you Mario, Halo, or Ratchet and Clank? I know a lot of parents that were PS3 owners that were excited for Ni No Kuni, the game by Namco, Level 5 and Studio Ghibli. It gave the parents the deep, rich RPG gameplay, but brought the great character design, and art of a Studio Ghibli film. It was something you could spend playing with your child that wasn’t tagged with anything from Nintendo. 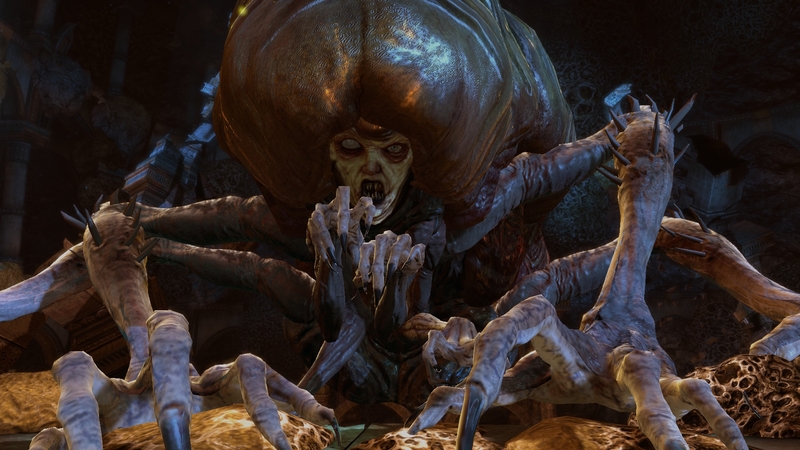 We need excitement in the industry, we need to celebrate the different, the family oriented, the indie, the PC, the Free to Play, the console exclusive, and the blockbuster AAA titles but without the hostility, without the fan boy schlock, and without stereotypes (including xeno and homophobia). If we share the excitement with our friends, colleges, passerby’s, consumers, and the people leaving gaming behind; we may be able to show them what it is about the hobby that keeps us enthralled with it. 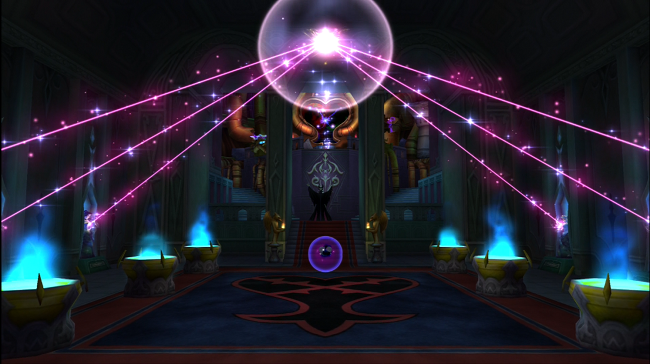 There may be other ways to keep people and children interested with gaming by incorporating it in different ways. There are art exhibits, concerts, books, comics, soundtracks, and other media that the stories games convey have bled into. Want to still get in your morning run but what to be excited about the next Halo, listen to the soundtrack on your workout. Love Mass Effect and want the stories to continue outside of the game, visit your local comic or book store. Comics and books can be read in parks, the beach, on the train, in a plane, on your phone, on your tablet, or at home. I know reading game related material or listing to soundtracks as I write or during my walks brings me to the console space with excitement. Listening to soundtracks of games I have played years ago, triggers memories making my brain more active, while I am actively doing something else. When my friends and I were younger, going outside to play Laser Tag, play in the snow, play wiffle ball or even climbing a tree became something different because we include gaming into those activities. During snow days my back yard and drive way became the Battle of Hoth, Laser Tag was a mixture of Resident Evil and Jurassic Park, and playing sports games gave us better understandings of those sports and we would mimic batting stances, or moves we saw in the games. 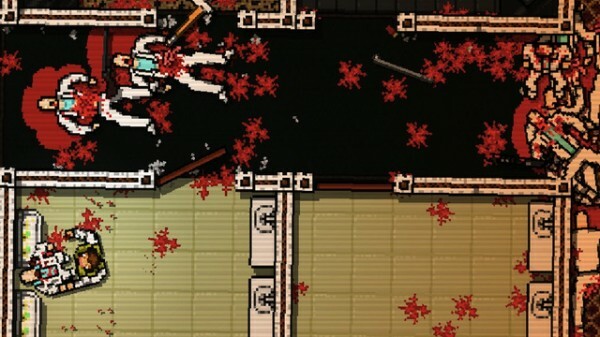 It wasn’t about the violence or gun play or any of that, it was about creating new, fun, and exciting experiences from what we had played. We incorporated games and story lines into our childhood play, something I see absolutely none of today. There is just no imagination in today’s youth. Maybe gaming is being passed up, because it is a creative industry that sometimes requires a creative input from the player, and that creativity is just lost. I mean look at the styles of clothes now, none of it is creative, it is all regurgitated from the 70-80’s and I hate it. Maybe this generation has become creatively sterile and the only way they can express it is through the new game of social media. There are several things I have gone over to try and resolve this issue that is apparent. There is one way I haven’t yet addressed. 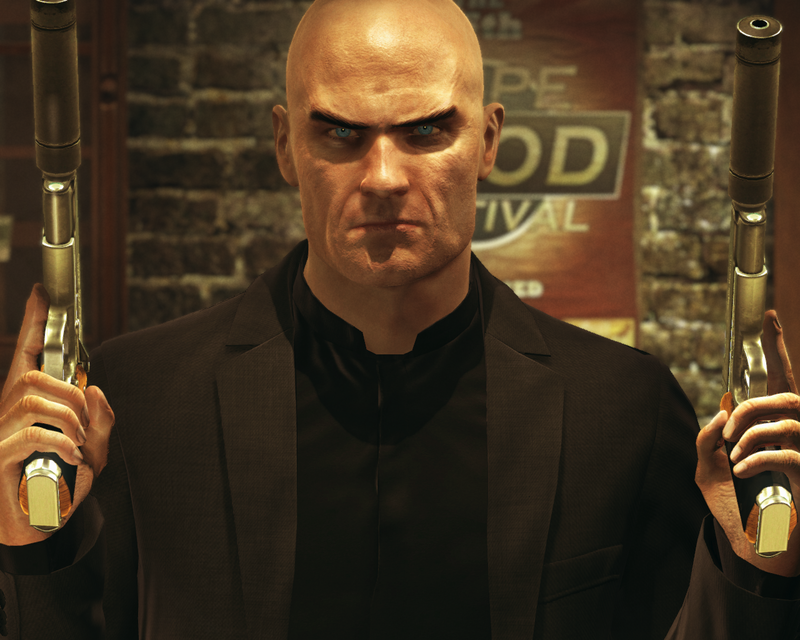 In a recent interview with Peter Molyneux (formerly of Lionhead Studios and now at 22 Cans), how the Xbox can be successful, trim the media fat, and make it about games. With this generation we have seen the simple starts as being a DVD/Blu- Ray player to an entire media hub where it forgets about being a game console. The Xbox 360 dashboard is so bogged down with media apps, advertisements and other schlock that it makes finding games and game related material a chore. I don’t care that I can tweet, add Facebook friends, order a pizza, or have military propaganda flooding the advert space; I want it to play games, connect me to people to play games with, and to let me lose myself in story and HD visuals. Anyone can buy an iPad, Roku Box, or surf the web on their phone. Console makers need to make the consoles focus and regain what we buy them for in the first place, to play games. I can buy a PC and do everything at once. But people by consoles because of the different gameplay experiences, ease of use, there is no updating hardware and they can spend the money and be happy for years with what is in the box. I buy Nintendo consoles for the interesting ways to play and their core franchises. I buy Sony products to play original titles like ICO, Shadow of the Colossus, and titles that feel at home on their products like Final Fantasy and Metal Gear. I buy Microsoft products for universal connectivity across all products (from my W7 phone, to my Zune, to my Xbox, and my email), for the comfortable controller, their exclusives, and I am a bit of an achievement junkie. Out of all three have I mentioned that I can watch Netflix, or get on Twitter, or because I like advertisement shoved into my eyeballs at every turn? No, and that is the way it should be. Each has their strengths and they need to feed off of those and focus on games. With all of these thoughts I hope this lost generation can take note, game companies do a better job of showing that their consoles are about games, and that games can make more of a social impact. The gaming industry is making more money than ever, but with so many techs out there, they are starting to not seem viable any more, but that can change and could bring new audiences with that change. The industry isn’t just loosing gamers, but creativity and desire. The “lost” generation has had so much technology available from the start that they have become creatively numb, and socially inept, to where the only way to get them into gaming is to maybe making it simple again. This generation is not only ignoring gaming but other outlets such as comics, and books as well. I had teen tell me that one Iron Man figure was wrong because he didn’t look like he did in the movie. If he had picked up a comic first instead of inserting his foot, he would have realized he was wrong. The gaming industry has to change and we have taken fact to that issue, but maybe it’s also about time this generation put down the iPhone, crappy vintage camera filter, jackets with shoulder pads, and social media to find out there is more out there. Maybe there is a middle ground we are missing here, there has to be a compromise. If I can get my mom to sit down and play Carcassonne on the 360 with me, help her download Star Wars Pinball on her Kindle Fire HD, or have my future sister-in-law be amazed that Gears of War 3 looked more like a movie than a game; then there is hope. If I ever have kids, I would want them to be gamers, readers, and media enthusiasts as well as active in the real world. I want creativity to flow in every aspect. I have talked about moderation, the gamer’s social convention, the industry it’s self, and a generation that is need of creative guidance. I want the games of the future to be a proud, creative expression. I want them to push boundaries both in social, graphical, and gameplay relevance. I have always hated the term “Video game” because it always implied something that should be used by a child, or that had no artistic relevance, and was mostly looked down upon by the main stream. This interactive media is suited for a better title. So, “lost generation”, let’s work together to bring that audience back, make consoles about games, bring excitement in the field, and find a term more suited for this new creative empire. 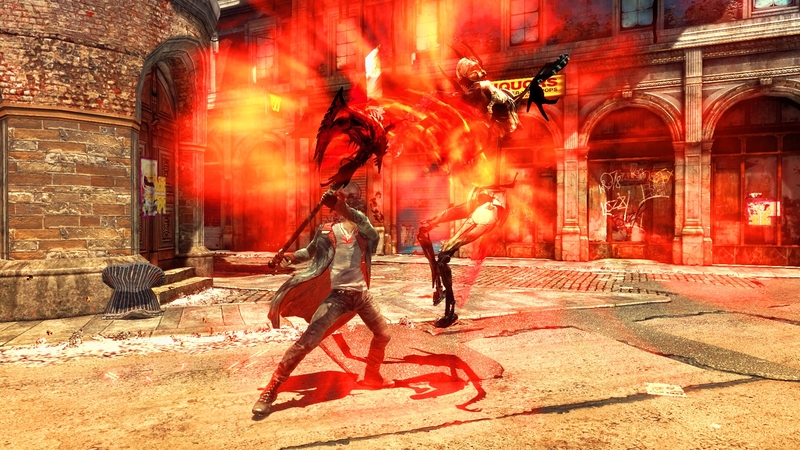 Almost 5 years after the launch of Devil May Cry 4, Capcom gives its beloved franchise to a western developer in hopes of bringing the series to a new generation. 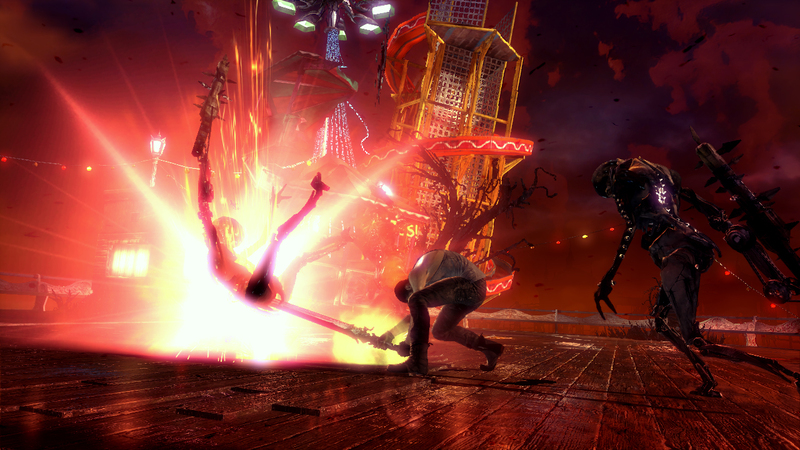 With a new visual style, refined combat, and Dante sporting a new look; would Ninja Theory’s experiment work or would it make the devil cry? 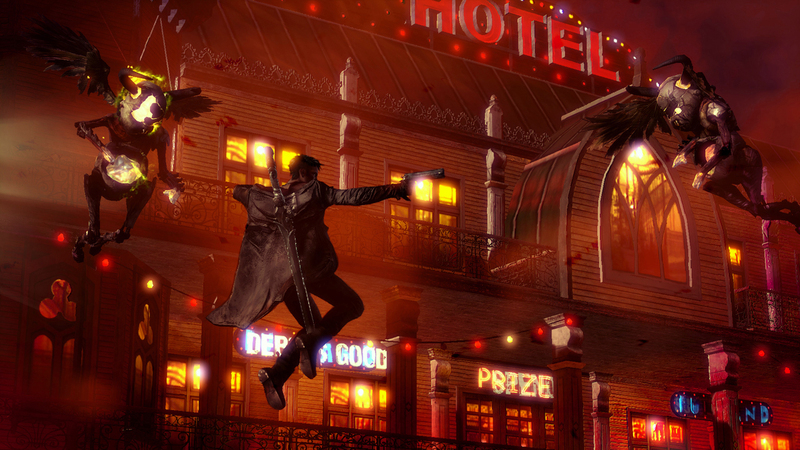 The game starts as showing Dante being an angry, young adult enjoying his sinful ways in a club, taking home a few “angles” to his trailer. 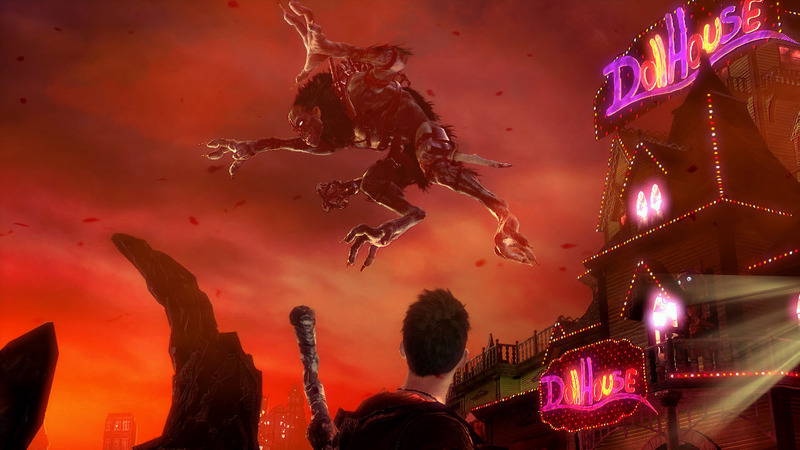 Yes, Dante lives in a trailer, on the pier, in Limbo City. 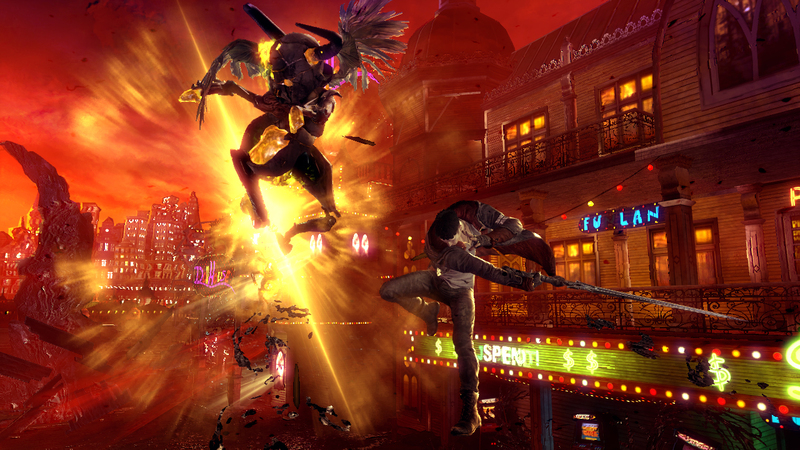 Limbo City is run by demons. Demons control everything from keeping a close eye on the populous, to economic control, to keeping humans sedated to everything going on around them. 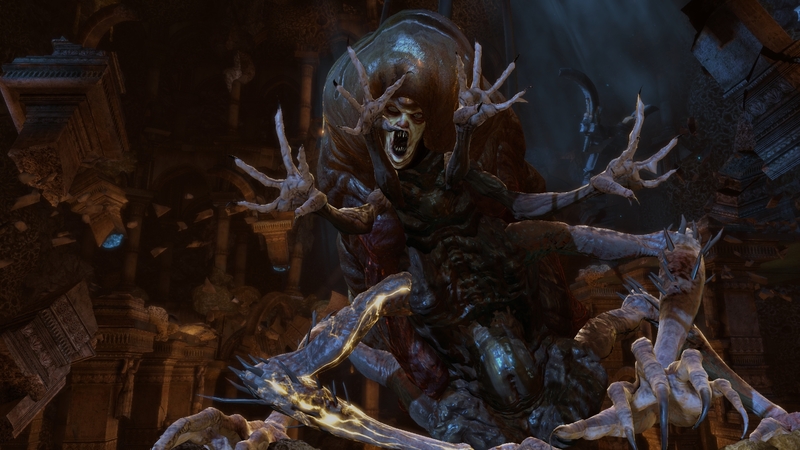 Mundus heads all of this, the original protagonist from the first Devil May Cry. Dante meets Kat, who is in “The Order”. 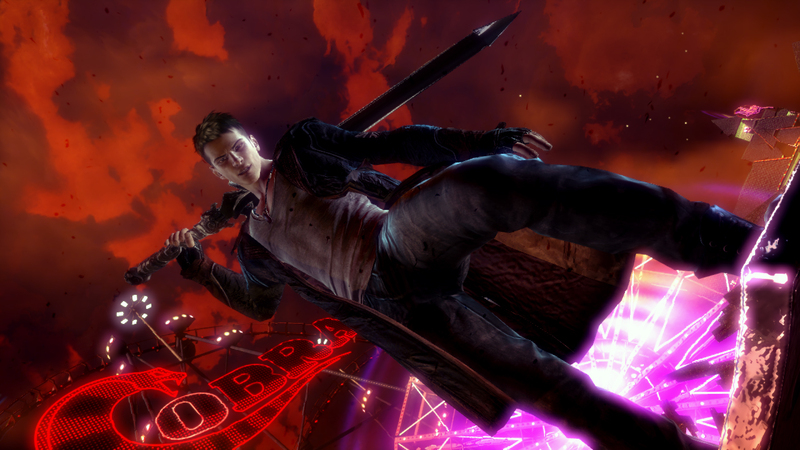 Ninja Theory has always had either a strong female lead or strong supporting female characters in their current gen efforts and DmC is no different. Kat becomes very important later on. 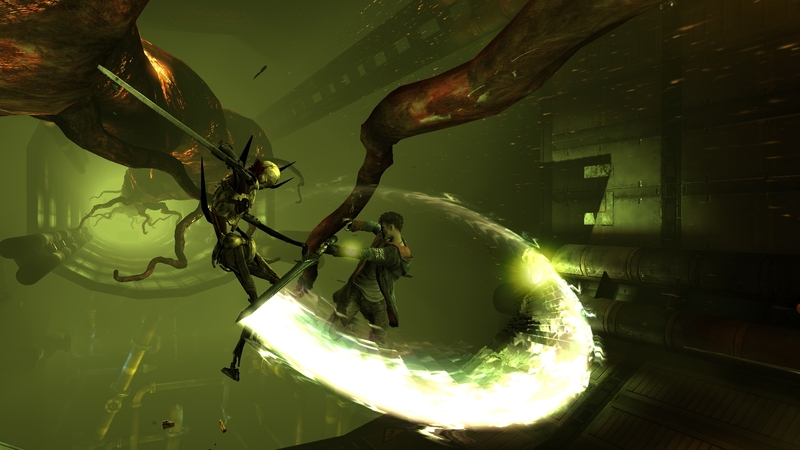 After he meets her the world around him transforms into Limbo it’s self and is hunted by Mundus. 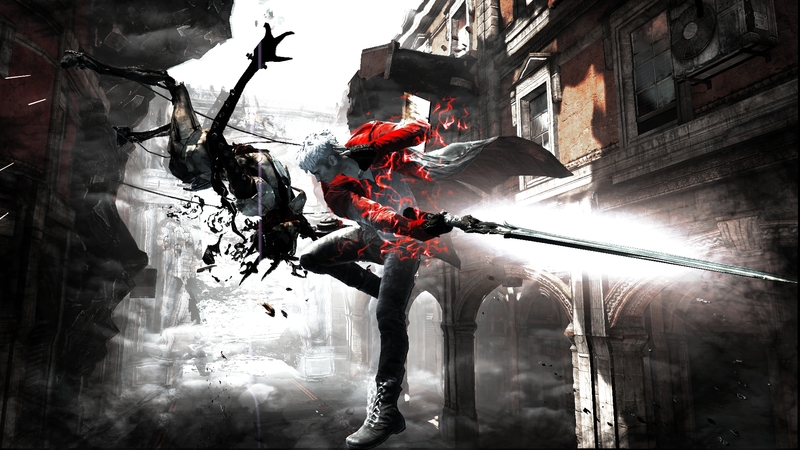 Dante meets the head of “The Order” and learns of his past that had been kept from him, so that his parents, Sparda and Eva, could keep him from being hunted. The story becomes more intriguing but never becomes so farfetched or so incoherent that you lose track. It plays out as an origin story to set up a sequel, but it lets us know these characters in the new light Ninja Theory has created. There is plenty of room at the end for a sequel and despite this being a reboot/reimagining there are plenty of hints here and there at the previous four games. 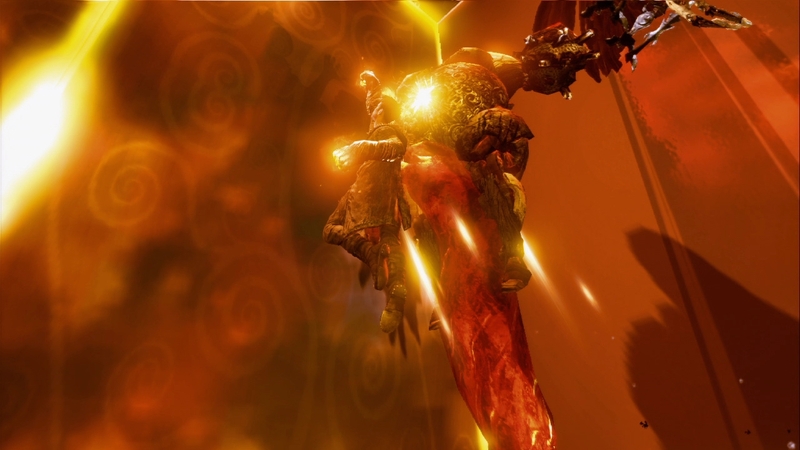 In the beginning when Dante is ripped from his trailer and does a good job of getting dressed midflight, lands with a mop top on his head depicting him from the previous games. After he gets a good look at himself, he jokes “never in a thousand years” and heads off. 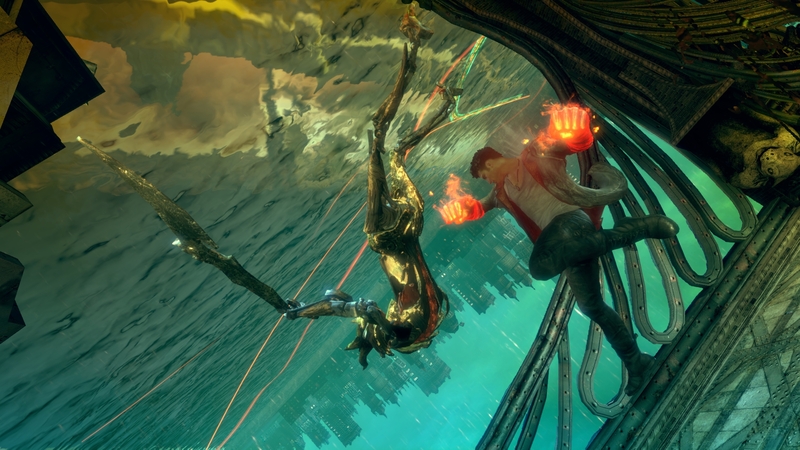 Dante is a bit crass at the beginning of the game but that cocky facade slowly fades over the course of the game leaving a semi-respectable antihero. 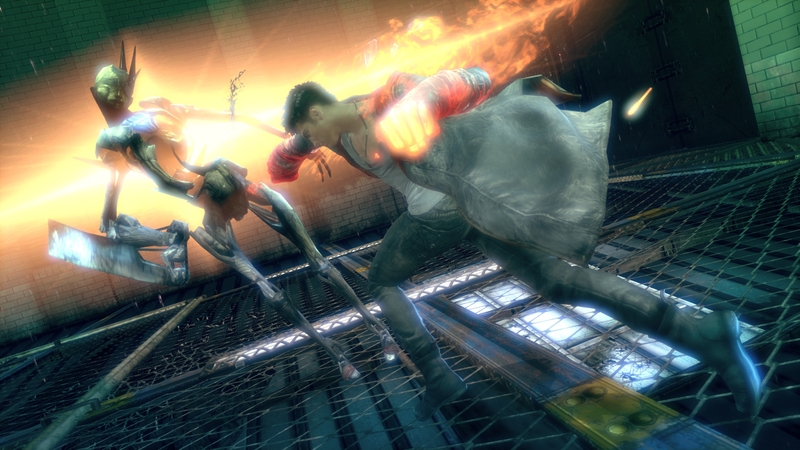 Gameplay and the combat system is something that has made Devil May Cry since the early PS2 days, emphasis on combo, lightning fast combat hasn’t changed. The frames per second have been downsized to 30FPS instead of the 60FPS the last two titles have enjoyed. 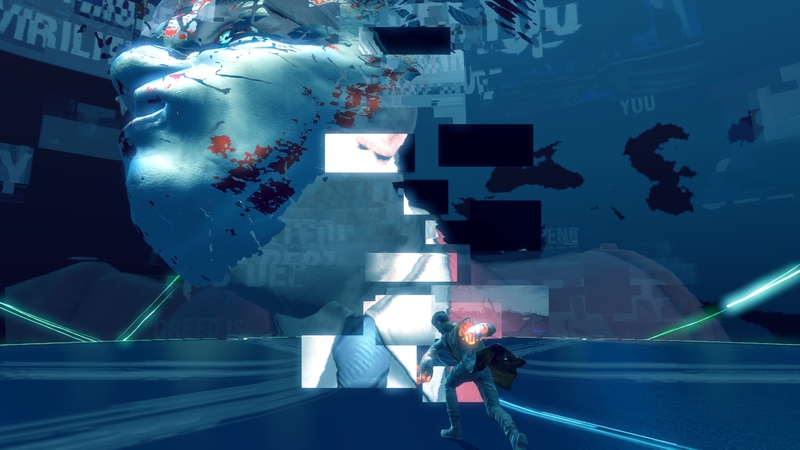 Despite the frames being cut in half the combat still feels just as fast and furious. 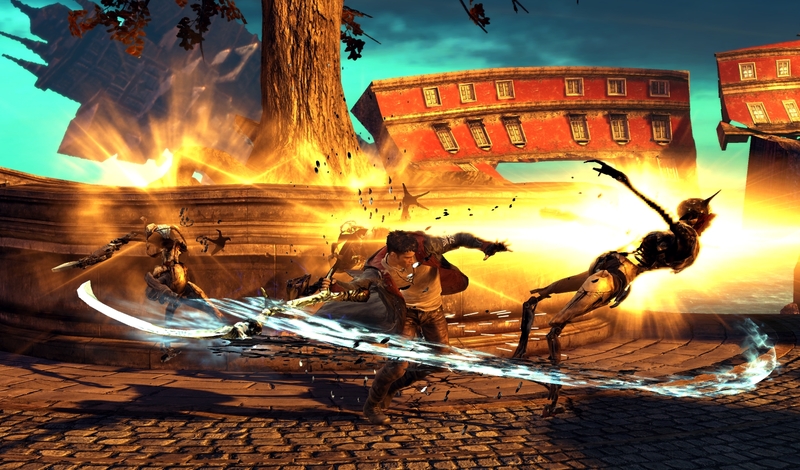 Besides having the staple weapons, ebony and ivory and Rebellion, Dante gets a feast of new weapons and abilities. 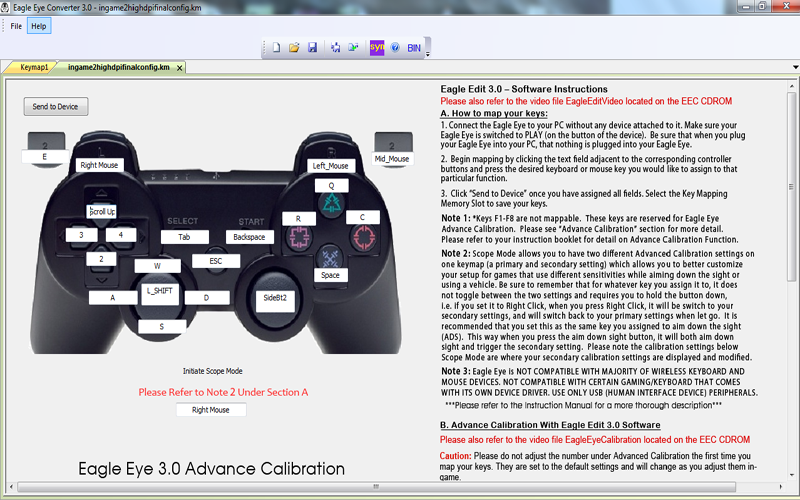 Mapped to each of the trigger buttons are devil/angel versions of Rebellion. 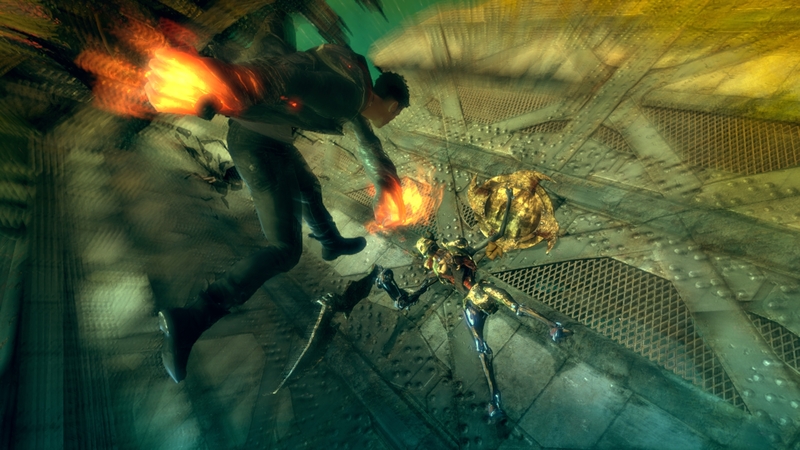 The Devil versions include an ax (Arbiter) and powered fists (Eryx); these weapons are slow but very powerful and offer different combo techniques per weapon. 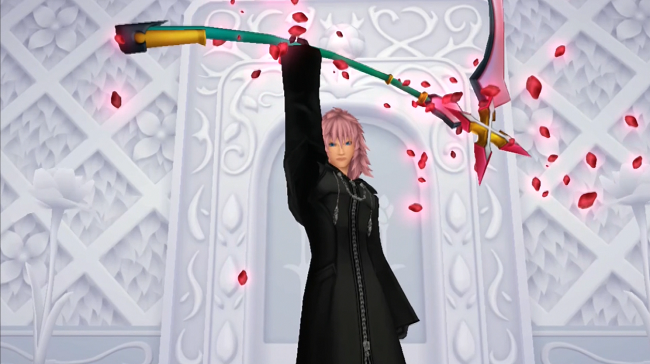 The angelic weapons, a scythe (Osiris) and a pair of blades (Aquila), are very quick but also light on the power. 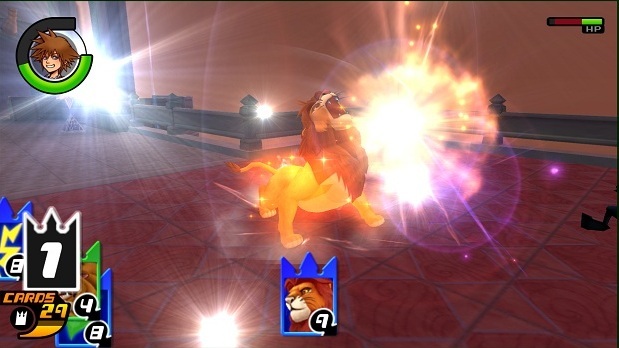 The game does a good job of making you use the specific weapons outside of combos with enemies representing fire and ice. There are also two whips for each side to traverse the ever changing terrain. The red/devil one can pull out new platforms when directed and the angel/blue one acts more of a grapple hook more mobility when directed. 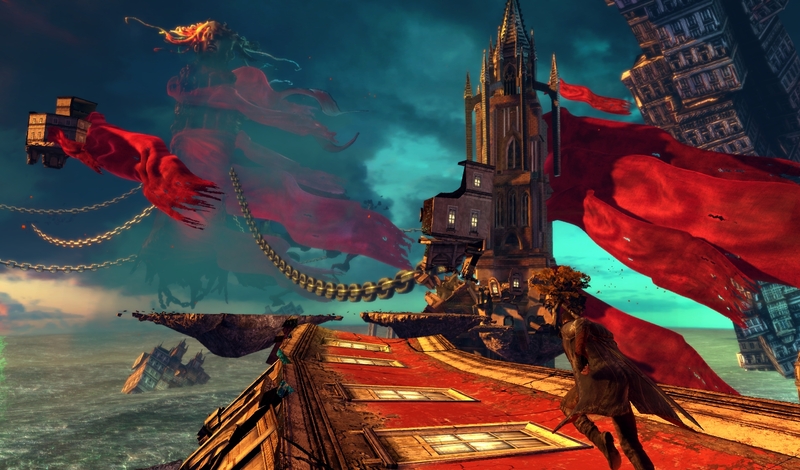 The platforming is solid, but I felt underwhelmed by the lack of a shadow for Dante. While it made the platforming more challenging it was also harder to judge some jumps and could become frustrating. The camera is great but sometimes can get in the way of combat; I lost Dante a few times in a corner but it wasn’t anything detrimental to the game. The game is built on the engine I love so very much; Unreal 3, which if you didn’t get the sarcasm, can be a polished turd. There was one instance that I had revert back to a check point due to a flying enemy getting stuck on some geometry and couldn’t get around it. 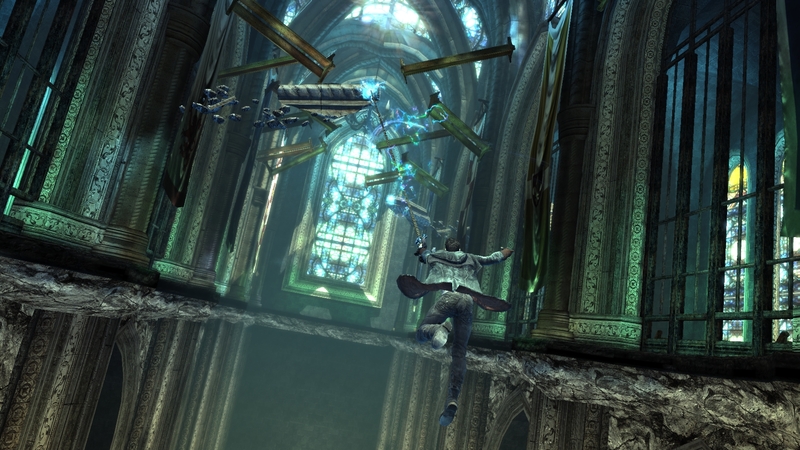 One of the boss fights failed to continue until I jumped off a platform and rest the sequence. Now this could be a big deal but I have seen it in other Unreal powered games (Mirror’s Edge, Mass Effect, Rainbow Six: Vegas, etc) and have purposely tried to break them to see if I could, with varying degrees of success, so DmC isn’t alone in that category. I would feel like I wasn’t doing my job if I docked it points because of something Epic had never addressed in their engine. I am here to critique the game not the engine, but I thought I would warn you there is a possibility of these things. With a new game we get new voice actors and new music. Reuben Langdon does not reprise his role of Dante; Tim Phillips (an Australian born actor) takes over the role. Phillips does a great job of being a crass anti-hero and never falls out of his American accent unlike Sam Worthington in Black Ops. All of the voice acting is excellent but some of the dialog is a bit cringe worthy. 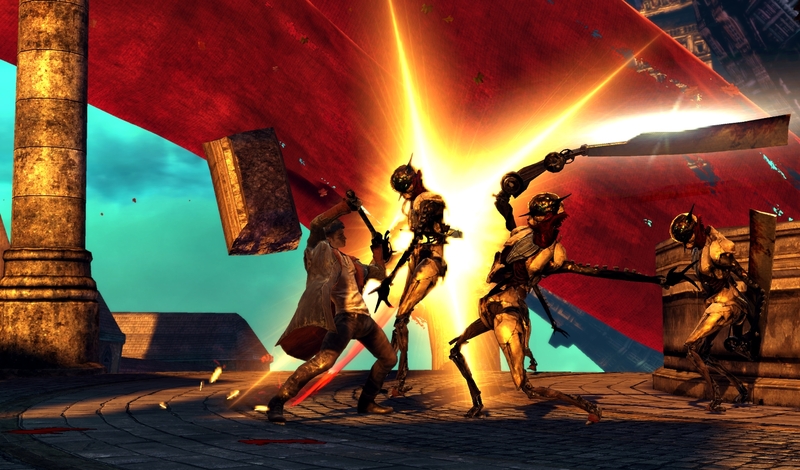 There is a particular boss that Dante has an F-you contest with that seems like it was written by an angry 12 year-old. 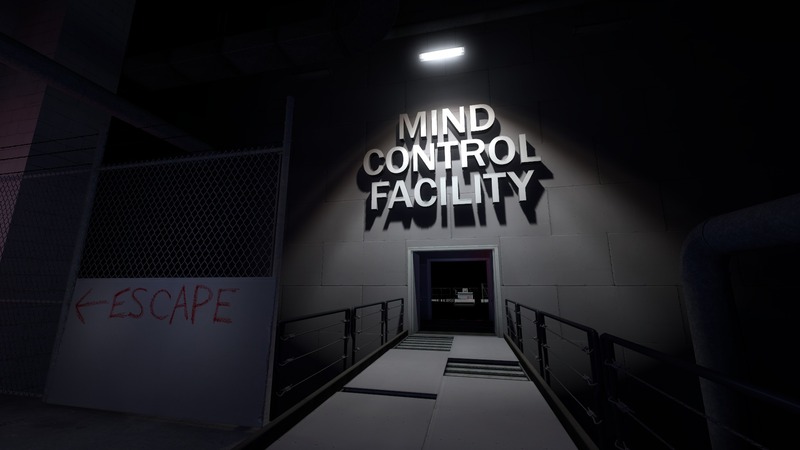 The soundtrack was done by Noisia, a Dutch electronic trio. Noisia has done music for other games such as some of the more recent Wipeout entries, DJ Hero, and SSX. 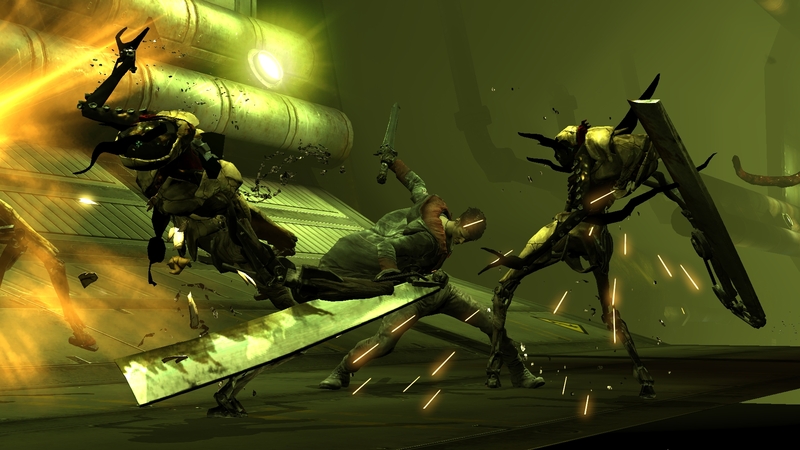 Norwegian aggrotech band, Combichrist, also added some tracks to the soundtrack. 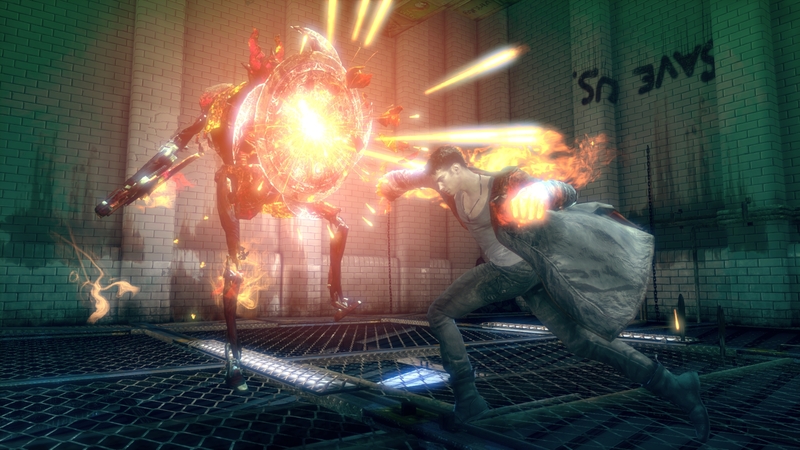 The electronic scream rock feels right at home with the setting, fast combat, and Mohawk sporting Dante. Noisia has put their compilation of over three hours of music out on an official soundtrack and is nothing short of epic. So referring to my question above, has Ninja Theory’s experiment worked? Yes, yes it has. 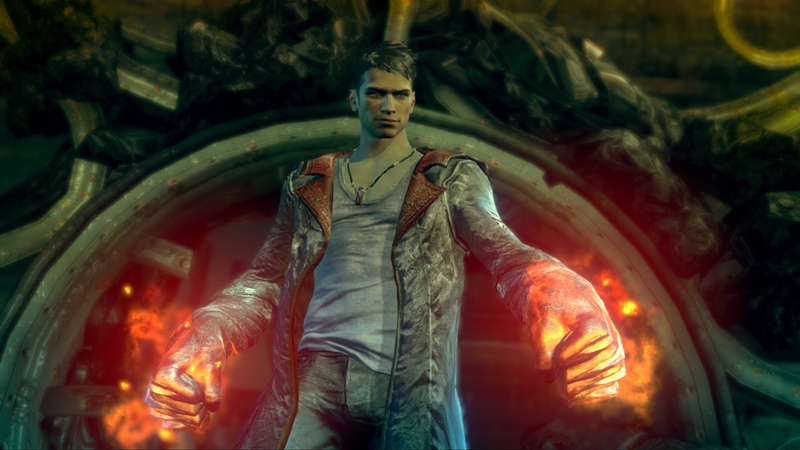 Despite Dante looking like he fell out of a Hot Topic sponsored rave, the game is very much Devil May Cry with all the little nuances of previous Ninja Theory titles. If there is one thing Ninja Theory has proven over the years is that they can take a good design concept, God of War (Heavenly Sword) and Prince of Persia (Enslaved), and make it their own. 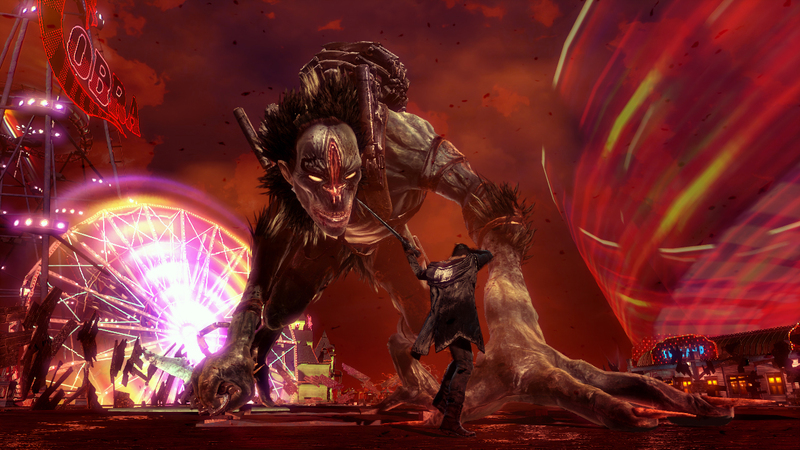 DmC doesn’t fall away from the formula that made the series popular in the beginning; it has a new coat of paint, some epic new beats, and a nice new perspective on Dante’s origins. 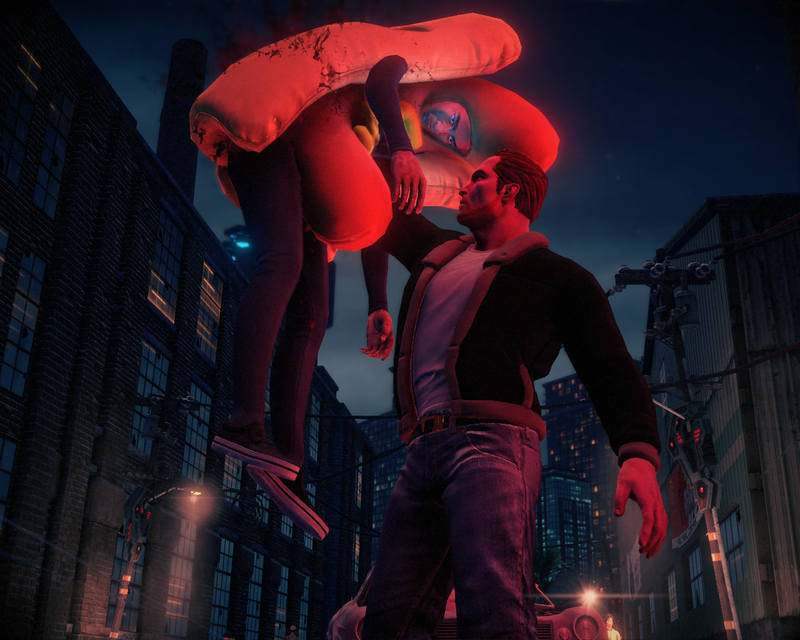 I played through the game on the hardest difficulty unlocked from the get go (Nephilim) and clocked in around 9 to 10 hours. I only found a few of the hidden doors that lead to challenge rooms (which are also accessible from the main menu) and there are plenty of unlockable difficulties remixing enemy waves and making the game much more difficult. There are leader boards that your scores are uploaded to after each level and there is always room for improvement. For all the hoopla that went around when the new Dante was showed off this is a great game that proves that the series is in great hands. 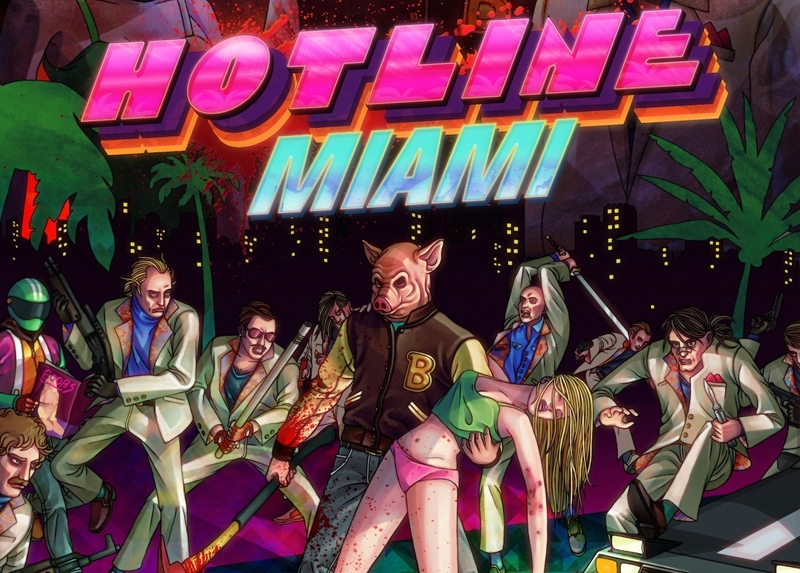 If you’re a fan of the series or of action games or eyeliner, give the game a shot it deserves the attention.